Chromosomal abnormalities associated with distinct subsets of human leukemia suggest a link between specific genetic alterations and clinical outcome. A tight correlation between the cytogenetic anomaly and the progression of the disease indicates a direct cause and effect relationship between the genotype and the disease phenotype. 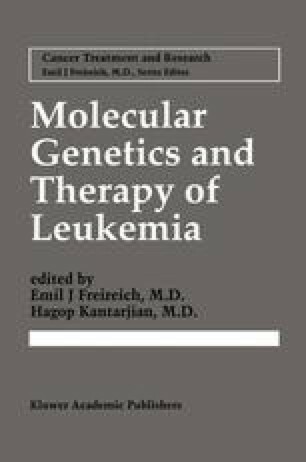 In recent years, molecular cloning of genes residing at chromosomal translocation breakpoints of t(15:17), t(8:21), and inv(16), inv(3) has led to an understanding of the wide phenotypic variations observed in acute myelogenous leukemia.